Liverpool underlined their title credentials on Sunday afternoon with a convincing win over Manchester United at Anfield, which again moved them above Manchester City at the top of the Premier League table. 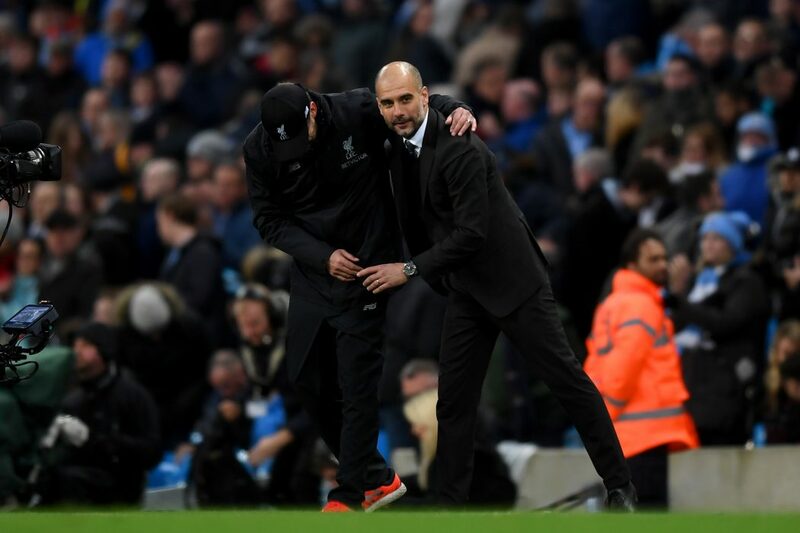 Jurgen Klopp’s men are emerging as serious rivals to City in this season’s title race and remain unbeaten after 17 matches – something Pep Guardiola’s record-breaking City side can’t even boast this season. With just one point between the sides and a gap developing between City, Liverpool and the others, this has the makings of a Real Madrid vs. Barcelona style title race. One man who doesn’t expect Liverpool to fall off and make life easier for City is Kevin De Bruyne, who can see the Kopites pushing City until the end of the season. “I don’t know why they can’t sustain it – I think they will go on to the end,” De Bruyne said. “I’m not too worried about them [because] they will do what they do and we’ll have to try to win our games and go forward. They’ll try to keep pace with us and vice versa. There are only three more league games before City host Liverpool at the Etihad Stadium on January 3rd, a match that could go a long way to defining this season’s title race. Kevin De Bruyne: I hate losing – even at board games to my wife and son!